1. You can check out some of the "Apple Of My i" photo contest entries at microwarehouse.com.ph/appleofmyi and find out how you can win a brand new iPod Shuffle. 2. Microwarehouse Philippines will have the "Mac of My Life" exhibit on May 6-7, 2006 at the Powerplant Mall, Rockwell to showcase selected entries from the "Apple Of My i" photo contest. 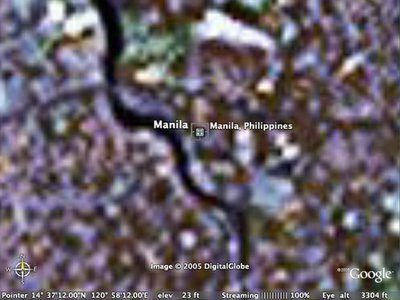 The deadline for submission of entries has been moved to 05 March 2006. Hooray! So hurry now and get those pictures taken for the chance to win a brand new Mac! Microwarehouse Philippines has launched the Apple Of My i photo contest. Open to both professional and amateur photographers, this contest aims to showcase various images portraying Apple enthusiasts with their fabulous Apple gadgets and/or computers. You can participate either as a photographer or as a subject, so you don't have to own an Apple product to join. You can participate as a photographer, take a picture of somebody who owns an Apple product, and send in your entry. Or if you own an Apple gadget or a Mac, and feel that your face is fabulous enough to win the judges over, then have your picture taken and join the contest. The 1st place winner (photographer) in each of the two categories will receive either an iMac G5 (PowerPC) or an iBook, while the subject will receive either an iPod Nano or an iPod shuffle. Wow! Visit Microwarehouse.com.ph for more details. Poker's getting pretty big here in the Philippines. Its growing popularity has, no doubt, been influenced immensely by the Celebrity Poker Showdown which started airing on local cable channels last year. So for those of you who are into the game and are looking for online poker sites that are Mac-friendly, head on over to MacOnlinePoker.com. They've got a short list of online poker websites that are compatible with the Macintosh platform, as well as reviews on each of their featured websites. About.com also has an article entitled Top 5 Mac Online Poker Sites. The article mentions two online poker sites that aren't featured in MacOnlinePoker.com. So what are you waiting for? Go get your credit cards ready and dive into the world of online gambling. Don't worry, you can always join Gamblers Anonymous if things get out of hand - Mac and Windows users welcome. I haven't checked my software updater for quite some time now, and today, I saw that the Mac OS X 10.4.4 update is now available (it was posted about 10 days ago). New items include security improvements and an iChat update that allows the program to detect if you're using a bluetooth headset as your audio device. That last one's pretty cool. Click here to learn more about the update. Do you aspire to gain an extensive vocabulary? If so, then "Word of the Day" is the widget for you. 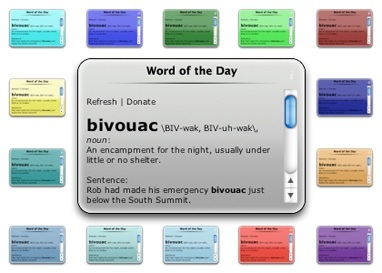 This dashboard application references Dictionary.com and displays the current word of the day for your learning pleasure. Make a daily habit of viewing it and soon enough, you will be using the words anacoluthically, nebulous and perspicacious all in one sentence. Levi's announced its upcoming line of RedWire DLX Jeans designed for the iPod. It has a docking station. Yes, a docking station! It should be in one of the pockets, where you attach the iPod to and there will be a "joystick" which will most likely be located somewhere that's easily accessible (hmmm...). This joystick will allow you to control the iPod so you won't have to take it out of your pocket. The jeans also feature retractable earphones. It should be available worldwide around September 2006. Although from what I've read, it will retail for about $200 which is over Php 10,000. Now, you see, if I bought one, then I wouldn't have enough money left to actually buy an iPod. Oh, and the jeans are also machine washable. But, of course, you have to take the iPod out first. 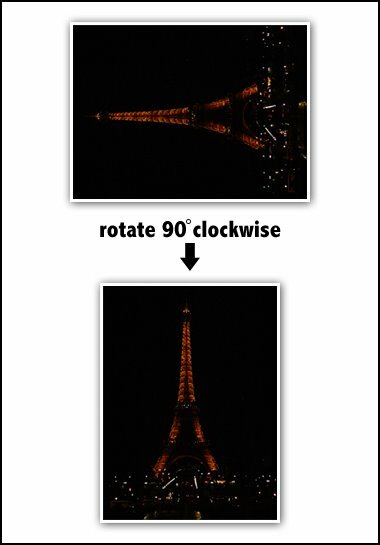 Rotating an image is a fairly easy task. A simple photo program can help you do this in just one click. But this simple task can become very tedious if you need to apply it to a number of photographs. If you have 50 pictures, then you would have to open all those files and rotate them one by one. 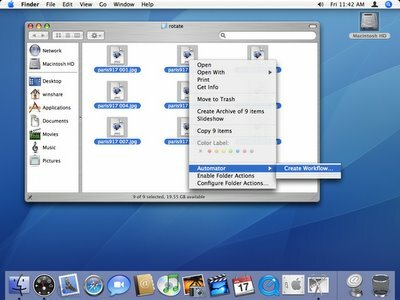 Enter Automator - your own personal assistant on a Mac. This article provides step-by-step instructions on how to use Automator to rotate a group of image files. Instead of having to rotate each file one by one, the handy Automator will allow you to accomplish this tedious task with just a few clicks. 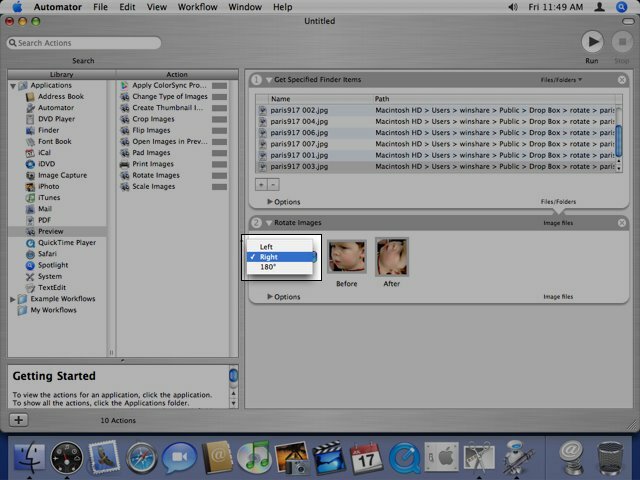 Go to Finder and select all the image files that you would like to rotate (NOTE: in this tutorial, all the files you selected will be rotated towards the same direction/angle). Then, right-click (or ctrl-click if you have a one-button mouse) on any one of the selected images. A menu will appear. 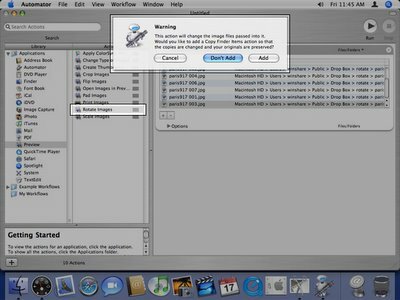 Click on Automator >>> Create Workflow. This will launch the Automator assistant. In the Library column to your left, expand the Applications folder and select the Preview application. In the Action column beside the Library column, double-click on Rotate Images. 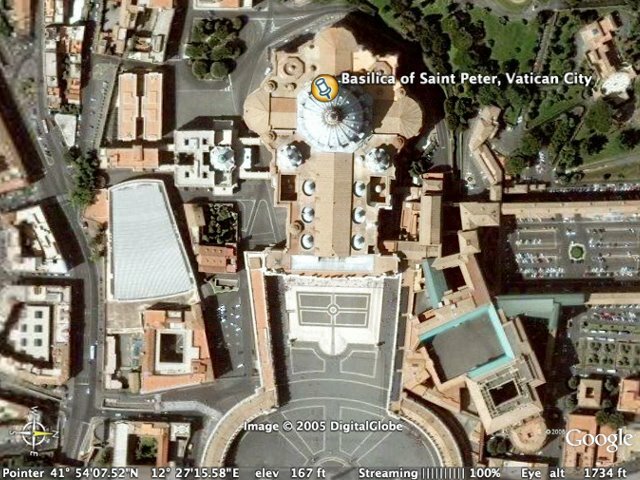 You will then be prompted with a message that says: "This action will change the image files passed into it. Would you like to add a Copy Finder Items action so that the copies are changed and your originals are preserved?" 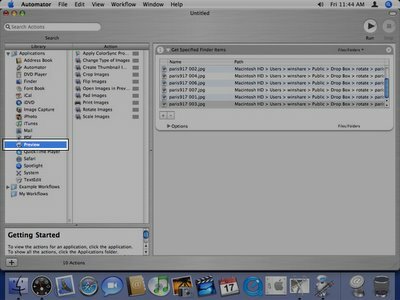 If you click on "Add", Automator will create copies of the originals, and rotate those copies so as to preserve the original files. 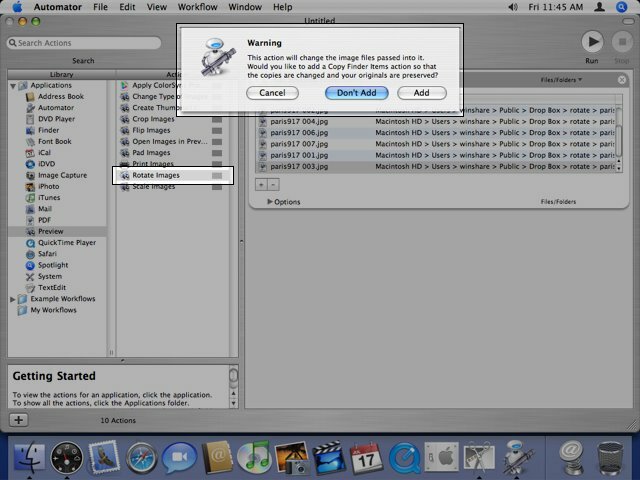 If you click on "Don't Add", Automator will rotate the original image files without creating any copies. You may choose any of the two options. But for this tutorial, we will choose "Don't Add". Choosing "Add" creates an extra step. We will only be rotating the images anyway, so it is not that imperative that we keep copies of the original. But you may choose "Add" if you wish to. The right side of your Automator window will display the list of actions you've added so far. 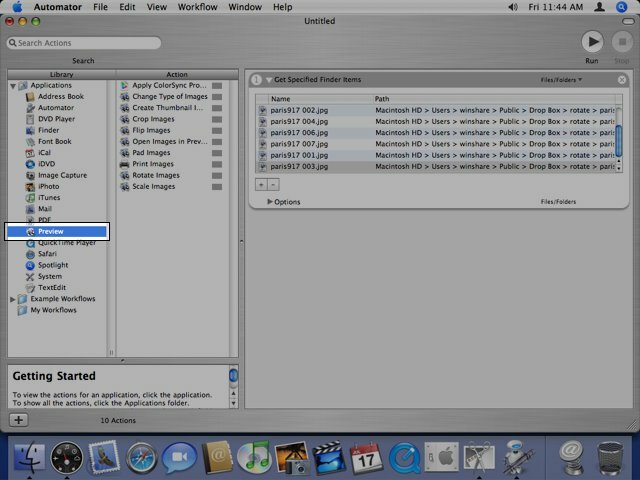 For this workflow, you should have two actions: (1) Get Specified Finder Items and (2) Rotate Images. 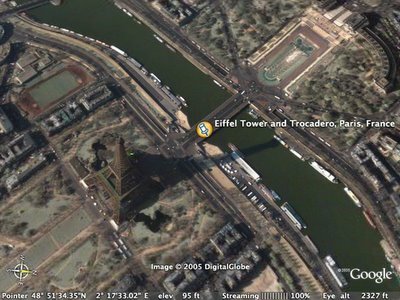 In the Rotate Images section, use the drop-down menu to choose which direction you'd like to rotate your images to. You will have three choices: left, right and 180 degrees. Click the Run button, which can be found at the top right corner of the Automator window. This gives Automator the go signal to perform the task. You will have to wait awhile depending on the number of images you chose to rotate. You will see the phrase "Workflow Execution Completed" at the bottom right corner of the window, once Automator finishes the task.